I used to know this thing about wrapping and refrigerating the avocado half with the pit in supposedly to keep it from turning brown. But do you know what else works, eating the whole avocado. 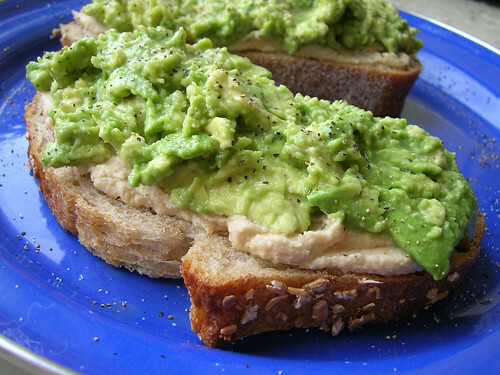 Spread hummus on each piece of bread, scoop the avocado on the hummus, and sprinkle with lime juice, salt, and pepper.